His classroom was the land of Israel, His pupils anyone within earshot. The words from the lips of this profound Teacher resounded in the ears and hearts of those who heard Him speak. Yeshua, the promised Messiah, came to His people not as a lording taskmaster, nor a ruler seeking applause and accolade, but as an engaging and dynamic teacher. His anointing to be the long-awaited chosen Messiah of Israel consisted of explaining the heart of His Father in heaven to crowds small and large. The populace of Israel – Hebrew and Gentile alike, heard His words and the practical spiritually-based lessons He so freely bestowed upon them. Yeshua is referenced by the title “Lord / Master” in many numerous passages – yet such an appellative was actually just cultural courtesy of the day. It is no different than the “sir” of today. It is in the repeated usage of the title “Teacher” that we find His unique calling and appreciation from the inhabitants of the land. He is specifically addressed by the Aramaic term MALPANA “Teacher” a total of twenty-six (26) times throughout the span of the four Gospel accounts of His ministry when we read them from the Aramaic Peshitta text of the Word. It is recorded in Mark 10:1 that teaching was His habit; the Word made flesh was compelled to share the Word to the world. And He rose from there and went to the border of Yeehud, to the crossing of Yurdnan, and many crowds went there to Him, and He taught them, as was habit. His ministry consisted of wondrous miracles, as well. Let these powerful actions not be diminished! However, we find that so many of those merciful acts of compassion were performed within the framework and context of a particular teaching or explanation to the crowds. Yeshua’s shining moments of miracles are fit within the setting of His words to the covenant people of Israel. He was prepared for any situation, any encounter with the needs of the people – be it physical or faith-based, and He met those needs in amazing ways. The power of miracles cannot be explained except to admit it comes from heaven. 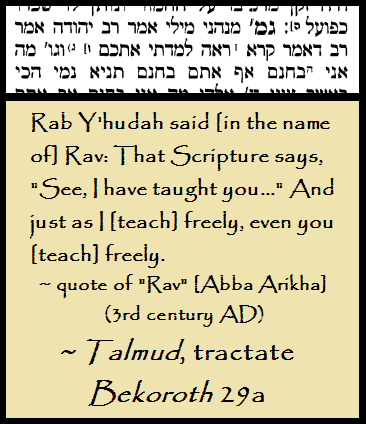 However, His teaching acumen was of such peculiar discrimination, and His background very obviously outside the austere religious training found in the disparate rabbinic schools of Israel of His day, that it made people truly wonder from whence arose His special perception into the Torah. John 7:15 displays the reaction of His fellow Jewish people to His acute understanding and dissemination of the Word to the crowds. This ability to teach was not only merely doled-out insights into the will of Heaven, nor pithy statements here and there, but were perfectly crafted by the mind of the Eternal One to be remembered and passed on to others in need of hope and truth. The presentation of His teachings was powerfully conveyed in many captivating methods – methods that we fail to see only from a translation side of things. The impact Yeshua was having in teaching when He spoke to the crowds was clear, a fact we that is explained to us in the text of John 7:32 and 45-46, surprisingly even by those who were not for Him. 32 And the Preeshe’ listened to the congregation who were saying concerning Him these [things], and they and the high priests sent guardsmen that they should apprehend Him. After Yeshua made it clear to the Pharisees that He was not playing the religious game according to their rules, a great many of them began to oppose Him both openly and in scheming ways. In the above passage, we see that they used their political muscle to attempt to have Him arrested and brought before them. In the intervening verses between the guardsmen being sent and their witnessing what He was saying and how He was saying it, they decided against their orders, citing that His teaching ability was simply stunning. What an answer!! No man had ever spoken as Yeshua spoke. No man had taught like Him! The Word in flesh and blood presented the Word to the hearts of men in a striking way that could not be ignored. The content of His teachings overflow with astonishing messages through beautiful presentations, so I shall share a few brief examples of how He taught that was so very engaging to His listeners. In Luke 15:4-5, we see a simple statement made by Yeshua, and yet embedded in the statement is a clear play on words that is evident to the ear and in reading. 5 and when that he finds it, rejoices, and bears it upon his shoulders?" In this concise declaration, Yeshua connected the concept of “one” who is lost being the source of “rejoicing” when found by using the very similar Aramaic terms for those words: KHAD “one” and KHADE’ “rejoice.” He made a statement about the value of a single person who is rescued from danger. The Father rejoices over even one who is brought back from the brink of destruction. Messiah’s words were beautifully chosen to drive the point home to those who were listening in a simple and succinct fashion. For further insights of His teaching methods like this one, see my study THE DEBT OF LOVE. Another instance of carefully crafting a context for His teaching is found in the book of Matthew 13:31-32, in the likely-familiar parable about the Kingdom of Heaven and the mustard seed. 31 Another parable He proverbed to them, and said, “The Kingdom of the Heavens is likened to a grain of mustard, that a fellow took and sowed in his field. 32 And this is less than all seed, yet when that it is grown, it is greater than all the herbs, and becomes a tree, so that the birds of the heavens shall come nest in its branches." The parable’s intent is to show the progression of faith and the result of practice: from small to large, from insignificant to vital. While the beginning state may not be impressive, the end result is one that supports more than what would be expected! 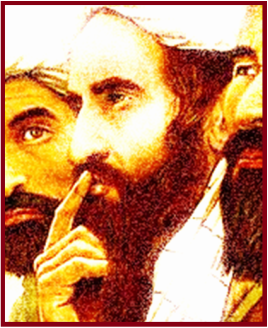 The words Messiah used to express this spiritual reality show the progression beautifully: Z’URYA “Less / Little” is likened to ZARUNA “Seed / Grain,” which progress to D’RABATH “Grown” and then to RABA “Greater.” The similarity of phonetics between the terms is very much intended, and draws a line in the listener’s mind to the purpose of the spiritual things of the Holy One. This seamless phonetic progression is only preserved in the Aramaic text – it is entirely absent if read from the Greek. Yeshua’s teaching method here in the Aramaic gave the crowds a fluid concept with similarly-flowing phonetics, in hopes that the natural progression of one’s faith could be understood to be a developing thing in the life of the believer. For further insights of His teaching methods like this one, see my study SONS OF ... THUNDER? Yeshua even used the method of song to get across certain concepts in His teaching. Luke 7:32 gives a declaration of Messiah after He speaks about the frustrating rejection by the spiritual leadership of John the baptizer as well as His own calling – even though completely different in execution. In attempting to convey the fact that there was essentially no pleasing them, but that they were rejecting the work of the Holy One on any level whatsoever, He goes into a lyrical proverb to get the point across. 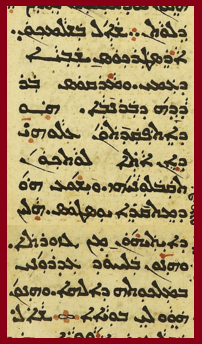 While it is obvious that he is referring to the concept of song in the context of what He said, the reality that He was assuredly singing it out in sing-song fashion is made clear when we read it in the Aramaic of the Peshitta. The Aramaic records His lyrics for us: ZAMRAN L’KUN / W’LA RAQEDTUN / W’ALYAN L’KUN / W’LA BAKATUN – “We sang for you / and you did not dance / and we wailed for you / and you did not weep.” Breaking out in song in the middle of teaching is one way to instantly grab the listener’s ear in a sudden manner, and the content of the lyrics He gave shows the rhyming truth He was making so well. The leadership of the day simply was unresponsive to the clearly moving Spirit in their midst, and the context of this message is further proved out in the remaining account of the chapter. Yeshua taught in ways that were innovative, unexpected, and engaging! For further insights of His teaching methods like this one, see my study HARD TO SAY OR HARD TO DO? The expression of divine truths is important for the listener / reader to rightly gather, and rhyming and alliteration are strong techniques to drive ideas home in the human mind. We remember well when confronted with simple rhyme and rhythm in words. Nursery rhymes and snippets of recurring phonetics aide in retaining what is taught, and in these ways, the Messiah is often recorded as teaching truths to the crowds and disciples. An instance of such alliterative teaching is found by again looking in the book of Luke at 9:58, where Messiah speaks of the unique situation of His living arrangement. A clarification of a term here first need be made before going further. The reference to “foxes” is intended to convey a specific idea in the mind of the Semitic person: a fox was considered of no importance to the Hebrew people, and so, to compare or liken a person to a fox was to say they were of “no consequence / unimportant / small potatoes.” The Greek and Western mindset of “craftiness” was not present in the Semitic usage of the term, a fact recorded also in the Jewish work of the Talmud, tractate Bava Kama 117a. With this understanding properly presented, we can see how Messiah was emphasizing His living situation as being less secure than a fox, which was considered of no importance and lived in holes in the ground. He says this in response to someone stating that they were willing to follow Him wherever He would go. His response speaks of the L’THALE’ “Foxes” and birds that have MAT’LALA “Shelter,” and yet there is LATH LEH “not for Him” anyplace to rest Himself consistently. The alliterative wordplay flies off the tongue as a tongue-twister, almost, which always asks the listener to stop and consider what has just been heard. The witty but truthful response of Yeshua was very likely intended to cause the individual who wanted to leave it all and follow Him to pause and think about what he had just heard: count the cost! The rapid-fire response of Messiah in the Aramaic tongue was crafted cleverly to cause consideration and contemplation before commitment to the call of the cross. For further insights of His teaching methods like this one, see my study WISDOM’S WORKS. Messiah taught in so many intriguing ways. A particularly impressive method that allowed the listener and reader to revisit what was said and appreciate further nuance is known as a Janus Parallel, or what is called a polysemy pivot – a poetic device that requires paying careful attention to the meaning of a term embedded in the text. One such example of this masterful method of conveying meaning is located in Mark 9:49, where Messiah is speaking about going to extreme means, if necessary, to put a stop to destructive behavior, so that the body is not destroyed in fire at the end of things. For all with fire shall be scattered, and every sacrifice with salt shall be seasoned. The context of the passage is cutting off physical parts of the body that are unmercifully bound to sinning: the hand, the foot, or eye. Messiah was teaching that it is better to separate yourself from whatever is sending you on the path to separation from the Holy One now, so that you do not go there whole where you will receive complete separation from Him. With that context in place, the words quoted above are then given. It appears at first glance that Messiah is bringing up the concept of “salt” out of nowhere. Especially in any translation that arises from the Greek texts, which have instead of “scattered,” the term “salt.” What is going on? This is an example the poetic device mentioned above as a polysemy pivot. In the Aramaic text, the phrase “shall be scattered” is NETHMLAKH, and is an inflection from the root M’LAKH, which is a term that can mean both “scatter” as well as “salt.” The intent of the Messiah is for the term to mean BOTH definitions for the reader, and is thus the pivot-point of the poetic device. When the term is read from the preceding passage of cutting off / separating, it is intended in its “scatter” definition, but when read with the context of what comes after it in the latter half of the verse, as well as what follows in verse 50, it is intended in its “salt” definition. The sheer brilliance of how Messiah was teaching cannot be understated. When His words were translated into Greek, the ancient translators were forced to choose only one definition of the term, if they even caught the poetic pivot device at all, which is why the Greek and Greek-based translations only have “salt” in the verse. However, for those who originally heard His teaching, and for those reading His actual words, careful attention provides the depth of meaning He intended to convey in this method of learning. For further insights of His teaching methods like this one, see my study PRESERVED WITH PIVOTS. These are just a handful of examples for the reader to consider regarding the beauty of expression in Messiah’s teaching. Hopefully, it can be understood from these few instances how guards who were tasked to take Yeshua into custody ended up going back empty-handed, with the only excuse given that no man spoke the way He did. If we have been paying attention to these select precedents, we can hopefully be in complete agreement with their assessments. Messiah exemplified a mastery of teaching prowess. He conveyed truths in plain and direct statements, as well as in multiple methods that caused the contents of His message to jump out at the listener or to warrant further rumination and appreciate additional depth of meaning. It should not be surprising to us, then, when we read that not only the crowds of people throughout Israel believed in Him, but even those in the religious leadership of the nation were taking quiet heed of what He said. The earliest evidence of this occurring is in John 3:1-2, at the nighttime meeting between Nicodemus and Messiah. 1 Yet, one man there was from the Preeshe’; Neeqadeemas was his name, a ruler of the Yeehudaye’. Nicodemus admits that Yeshua is a righteous teacher because the amazing miracles He performed attested to the validity of His calling. Nicodemus was not only a Pharisee, but also a member of the Sanhedrin, and is mentioned both in the Babylonian Talmud as well as by the first century historian Josephus. His acknowledgment of Yeshua’s status as a righteous teacher was no hollow word, but sincere in every way, as he is encountered one more time in John 10:39, along with Joseph of Arimathea, as involving himself with the initial burial of Messiah’s crucified body! The statement he made, therefore, cannot be brushed aside, but rather, a detail of it calls us to accept a reality not so widely taught: he said “we know…” to Yeshua! Nicodemus was not the only one of the Pharisees who sincerely and correctly viewed Messiah as a teacher of righteousness! In fact, John 12:42 goes on to say that many leaders trusted in Messiah based on what they saw of Him, but were hesitant to express their support due to the opposition against Yeshua held by other Pharisees. ​Yet also from the leaders many trusted in Him, but on account of the Preeshe’ they were not confessing, that they should not be put out from the congregations. Although initially keeping their trust in Him a secret for fear of persecution, this rabbinic / Pharisaic acceptance of Yeshua as a teacher giving righteous doctrine did not melt away after His death at Passover, but apparently grew in the area of those in spiritual leadership, as the book of Acts 15:5 displays that they were a real and authoritative presence in the flourishing Messianic community of first century times. 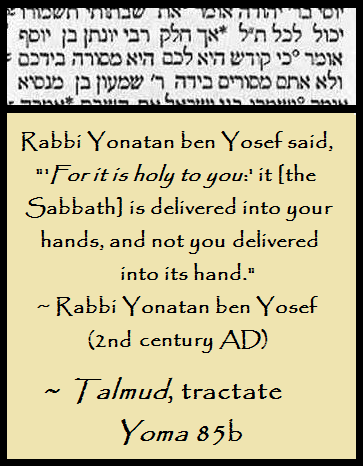 Obviously, their position on the insistence of the preeminence of the act of circumcision in new Gentile believers is one that was and is to be rejected (obedience is a growth process, and this act of obedience especially must be done for the right reason if for an adult convert to the true faith), yet the fact that they were very orthodox and steadfast Pharisees who believed in Yeshua and His teachings is something that cannot be ignored. Pharisees who held to their strict observance of religious and traditional views that were pegged on to the true faith were not being denounced or excluded from continuing in those paths after they agreed that Yeshua was the Messiah – they were merely being prevented from putting their strict observance upon others who were already very blatantly and undeniably entirely accepted by the Spirit as full members of the Body. While Paul had trouble with them from time to time, and for good reason, when they overstepped their bounds and attempted to put their manner of observance on others as a binding instruction, these rabbinic believers in Messiah still even brought comfort to Paul, as we see Colossians 4:10-11 records quite surprisingly for us. ​11 and Yeshua - him who is called Yustaws. These are those from the Circumcision, and they alone have profited me in the Kingdom of the Deity, and have been to me a comfort. In this passage, Paul makes a statement of particular interest: along with Aristarchus (Areestarkaws) and Justus (Yustaws), he mentions Mark (Markaws) – all who he reveals were of the sect of the Circumcision, that is, another name for the Pharisaic community who heavily pushed circumcision, discussed above in the quote from Acts 15. Paul says that those specific men of this sect were a comfort to him! Interestingly, the inclusion of Mark as a member of that Pharisaic sect makes for the additional revelation that the second Gospel was written by the hand of a Pharisee! The realities of this historical detail of rabbinic Pharisees who trusted in Yeshua as the Messiah mean that in the first century, although rejected by the majority of the religious establishment in Israel, Yeshua yet had after His resurrection and ascension devout rabbinic proponents of His teachings who lived and taught right alongside the Pharisees who opposed Him during His initial ministry! This fact is an amazing truth to consider! He was largely heralded as a righteous teacher by all who heard Him during His ministry throughout the land, and even after His ascension into the heavens, there remained many who continued to promote Him and His teachings among the spiritual leadership of the day. Perhaps, then, it should come as no surprise to find in the most voluminous work of Judaism scattered references through paraphrase to His Spirit-inspired teachings! Although they appear without direct quotation from Yeshua, nor any hint that He was the author of such valid spiritual statements, we can see from their inclusion in Judaism’s so-called “Oral Torah” that His teachings were validated as 100% kosher, so to say. He may not have been honored by being included as the one who spoke them, but their presence in the Talmud displays that His teachings were not spoken in a vacuum in Israel, nor did they fall on entirely deaf ears, but that those who believed in Him and continued in the sect of the Pharisees spread the righteous words of Messiah to others in their community of faith, and those Gospel sayings were eventually recorded in scattered tractates of the Talmud as valid and eternal truths! While there are many instances of His Gospel declarations recorded in the Jewish text, I include here only a handful of such examples, so the reader can see that His teaching had a profound effect upon the religious leadership in Israel of the first century. 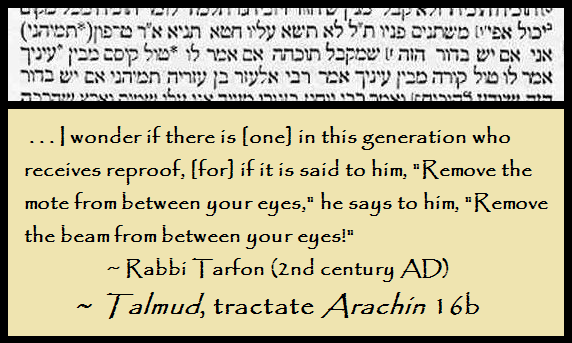 It is also of note that for every single utterance of Messiah that is recorded in the Talmud to some degree or another, the speaker who is recorded as saying it always lived after the time of Yeshua, which further proves that He was the original author of the saying, and that the Talmudic content was preserving what He first said, and never the other way around. 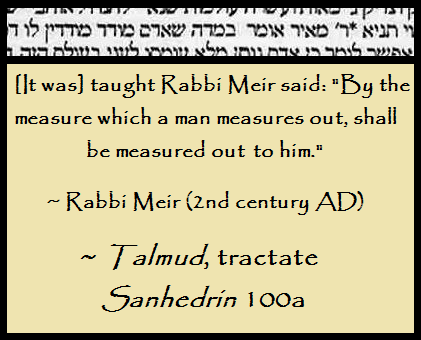 ​These examples from the most authoritative Jewish text in Judaism show in clear terms that Messiah’s words were listened to, recorded, and made an impact upon the rabbinic authorities of His day to the point that they passed them on in one form or another, incorporating them into the corpus of their traditional teachings. Yeshua’s teaching prowess reached even to those who have largely denied and wholly rejected His status. The fact that even those who rejected Him listened to and passed on His teachings displays how amazing His teaching truly was. His teaching was with full authority from heaven and spoken in astounding ways, so that those hearing took it into their minds and hearts. The examples shared in this study of what teachings He said that were so impacting, and how He said them in His native tongue aides us in appreciating more fully the worth of what was given to us when the Word became flesh, and how truly, never spoke a man like this before!